Little Snoring post windmill stood at Jex's Farm on the northeast side of the village. The mill had a roundhouse and used two patent sails for grinding and powering a flour machine. A Strong Built Post WINDMILL with round house and flour machine in complete repair, to be removed off the premises. 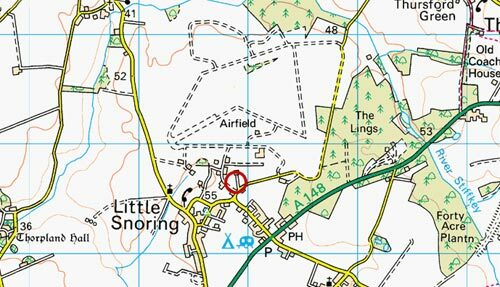 Enquire of Mr. Thomas Jex, Little Snoring. A capital POST WINDMILL with Roundhouse and going Gears complete in good repair and well situated for trade at Little Snoring aforesaid. Apply personally or by letter post paid to Mr. William Shepheard of Edgefield or to Mr. John Overton, Solr. Fakenham. 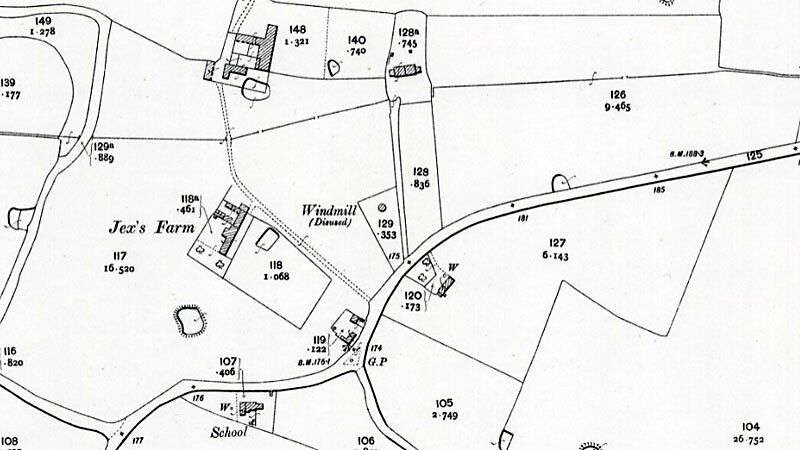 Also a capital POST WINDMILL standing in the parish of Little Snoring, with 2 patent sails and necessary machinery required for working the same and capable of doing a good trade, which will be sold subject to such conditions as will be produced at the time of sale. Sale to commence with the Household Furniture at 11 o'c.